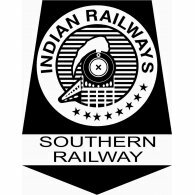 Good News for Travel Liker Summer special trains for the year of 2016 had been recently announced by the Southern Railway in order to handle the huge rush in this Summer. This Summer is Very hot to overcome that all of them will go vacation this year and it will create huge rush manage this lot of trains was announced. List of special trains for this Summer 2016 which includes Train number, Departure station, Departing Time arrival station and stoppages. Stops: Tambaram, Chengalpattu, Villupuram, Vridhachalam, Tiruchchirappalli, Dindigul, Kodaikkanal Road, Madurai, Virudhunagar, Sattur, Kovilpatti and Vanchi Maniyachchi. Stops: Arakkonam, Katpadi, Jolarpettai, Salem, Erode, Tiruppur, Coimbatore, Palakkad, Ottapalam, Thrissur and Aluva. Stops: Kovilpatti, Virudhunagar, Madurai, Dindigul, Tiruchchirappalli, Villupuram, Chengalpattu and Tambaram. Stops: Thrissur, Palakkad, Coimbatore, Erode, Salem and Katpadi.